James Harrison, otherwise known as “The Man with the Golden Arm,” isn’t just typical, good-hearted blood donor. Harrison has donated blood weekly for the past sixty years, specifically blood plasma from his right arm. He is famous at phlebotomy schools from Denver to the East Coast. So why is he donating so much blood? First, Harrison’s blood is special. Few individuals from Denver to Australia have Harrison’s rare blood. When Harrison was age 14, he had a chest operation for a lung removal and received a thirteen-liter transfusion. Struck by the kindness of the strangers behind this act, and touched by all the people involved to help him, Harrison decided he must reciprocate later in his life. So, he began donating blood weekly when he was 18-years-old. Harrison is one of only about 200 people in Australia (and less than .1 percent of the population worldwide) known to create this antibody. Individuals enrolled in phlebotomy schools anywhere from Denver to Australia would agree that Harrison’s blood is not normal blood. It just so happens that Harrison holds a rare antibody in his blood. Luckily, doctors figured out how to leverage Harrison’s rarity and use the antibodies to create Anti-D, an injection which saves lives from rhesus disease by preventing the antibodies in pregnant women with rhesus-negative blood. 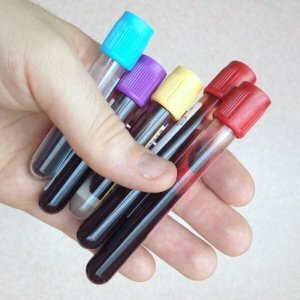 Those enrolled in phlebotomy schools learn that rhesus disease occurs when a pregnant woman’s blood attacks an unborn baby’s blood cells, which can cause death or brain damage for the baby. More than 17 percent of mothers in Australia are at risk, so it’s no exaggeration to say that Harrison has helped save a lot of lives. This occurs when women have rhesus-negative blood and their babies have rhesus positive blood. Because of the opposition, the mother produces antibodies that fight to destroy the baby’s blood cells because they are seen as foreign and dangerous. antibodies. In fact, Australia was one of the first countries to discover a blood donor with this antibody, so it was considered quite revolutionary at the time. Phlebotomy schools in metropolises like Denver still learn about this topic. Harrison’s weekly donations are not simply blood donations, they are medication, too. In 1999, Harrison received the Medal of the Order of Australia for his amazing attitude and continuing support of the Blood Service and the Anti-D program. It still remains a mystery as to why Harrison possesses this rare and extraordinary blood type. In 2007, Harrison criticized plans to open up Australia’s plasma donation to foreign corporations, claiming that opening up the trade will discourage volunteer donations. This opening of trade came as a result of a review of the country’s free trade agreement with the United States. Over the course of his giving lifetime, Harrison has donated plasma more than 1,100 times. Interestingly, according to an interview with CNN, Harrison never watches the needle enter his arm. Apparently, he actually hates pain and the sight of blood, which makes him even more of a hero. In 2018, Harrison, at age 81, retired his “golden arm.” Harrison is considered a pioneer of the Australian Red Cross’ Anti-D program, with more than 3 million doses of Anti-D containing Harrison’s blood being issued to Australian mothers with a negative blood type since 1967. His generous blood donations have saved over 2.4 million babies’ lives. He has created an incredible legacy, and he challenges the Australian community at large to top him.